This band hails from Saudi Arabia ! They have released their first album entitled “In Aloof Lantern, Thy Bequeathed A Wailer Quietus…”. 1- How was the band formed? What are your influences? It all started back August/2003, when Ghassan met up with Ahmed in Rotana’s music store, where Ahmed works. It was clear they shared an appreciation of metal music in general and doom in particular, they met few times later ,discussed the local metal scene in Saudi Arabia ”which is unknown widely”, and the possibility of having a mid success band, they wanted to start something but due to circumstances they did not. October/2004, in a moment of pure impulse Ahmed called Ghassan it seemed completely out of the blue since the two have not spoken nor met in such a long time. Immediately Ahmed started off by proposing the idea of starting a band again, they met up a few hours later Not wasting anytime and got down to working on the bands theme and headlines ,their determination was visible. Ahmed assigned song writer/lead vocal, Ghassan lead Guitarist. Ghassan suggested (Emad-Wasted land) as a drummer. The serious work started with a song entitled (The house of gloomy Anna), rehearsing sessions lasted for weeks ,passionate and eager they began working on another track (Which was Un-named) during this time they were looking for a name to suit the band’s attitude, they came up with a few names such as (Weeping Winter, Dark Vision) But it felt unoriginal. 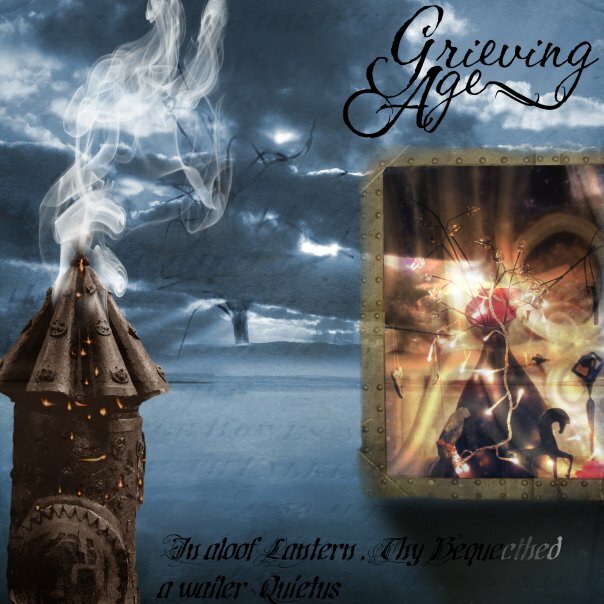 Little they knew their name was already there ”Grieving Age” it was picked up from their own music lyrics the three agreed. While working on their single, they met Abdullah, They liked the way he played the piano and approached him with their band’s idea in a few days he joined playing on the keyboards. Ghassan again made a suggestion but this time for a second guitarist, he thought who better for the job than Ayman(wasted land) ,He accepted and was welcomed. For some reason they neglected the two first songs, and chose to focus on their new one, titled (My River). Looking to record they went to Yazid-drummer of Panjiah ”another Local band” , Along with Khalid (ex-Panjiah’s guitarist)which worked on the song as a sound engineer/producer, It was complete during one month end of Feb/2005. 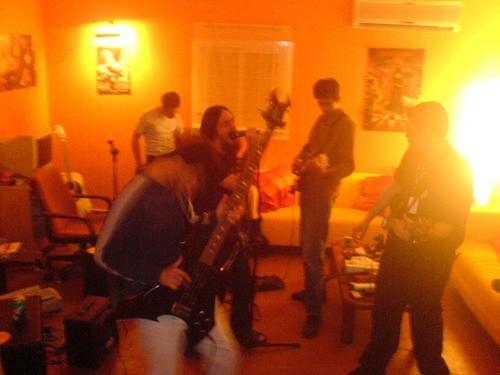 Re-titled under the name of (My Hopeless River) By that time Diya came from Al-Dhahran and joined the band as a rhythm guitarist/violinist, while Ayman held the bass position. My hopeless River received great reviews from the metal fans in Saudi Arabia, Egypt and Lebanon. 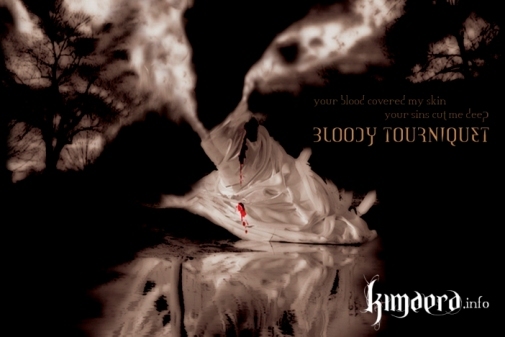 Working on their second project entitled (Have I sinned); they got back to their doom/death metal roots which were clearly their influenced by ”My Dying Bride and Old Anathema”. Diya’s impression was so obvious on this song, He did an astonishing job. The song was recorded as a live demo. Well known by now in the local metal scene the band got an invitation to perform in the SA Metal gig they couldn’t make it according to the band ”they didn’t have time”, The line up has been settled for a while till they started working on the third track previously entitled, (A nightmare within a nightmare) And recently (Nocturnal realm of desolation), Mohammed Shata joined the band as a bassist after Aymans deparute to focus more on Wasted Land,Mohammed lasted for a short time then he left because some personal problems and replaced my Hosam. 2- Tell us more about the whole process of releasing this album. We always wanted to have a proper sound so we thought of going to Liverpool to record the debut, but couldn’t arrange the right time to travel, so the perfect option was going to Al Khobar and record with Kamal Al Nauimi ( Deathless Anguish,Flesh Laceration ), we spent almost 20 days recording the whole album,moving between Kamal’s place (Guitars and Bass) and Third world studio (vocals and drums).We contaced Dan Swano for Mixing and mastering and Aaron Stainthrope for all artworks and logo,we have been so lucky dealing with 2 legends in Metal’s realm. 3- Everyone wants to know more about the local scene in your country. How would you best describe that? Nothing much to say about the Arab world,i don’t think they cared so much about the release except some good sites such as you and the metal reporter!but HAIL Egypt, they gave the best ears so far!On the contrary we received a very good reviews from Europe and America!great doom bands such as Novembers Doom and Evoken commented on the songs and cheered us for the quality of music,composing and songs writing! We have been in Doom-Metal and Metalstorm as a head news,but honestly we do focus on Europe and America as a Grieving Age’s main aim.5- Any last words for fans and/or new rising metal bands? Thanks for the interview Patrick ! We appreciated it a lot.For any new rising metal bands, please try to be patient and have faith in what you do. For starters, both songs are above the 15 minutes mark, and that deserves an applaud for the songwriting ability of the band. From the opening minutes of the first song, one can tell that these guys are in it to win the title of best doom metal band. I didn’t expect the band to be that much into pure doom, for I looked at their influences > ** My dying bride** Anathema** Mourning beloveth** Swallow The Sun** Saturnus** Katatonia** November’s doom** Lacrimas profunders** Novembre** Candlemass and noticed that they might have a melodic, atmospheric aspect to their music, which they obviously don’t. This is not a bad thing for PURE DOOM FANS who will certainly enjoy this album. Personally, I did enjoy the recording quality, vocals and some lyrics but I wouldn’t recommend the album for those who are not accustomed to long minutes of agonizing doom metal. I liked the second song since the death part of their influences come across in few parts. Other than that, this album was praised by many important doom icons in the world today, and kudos to the band for knowing how to produce and advertise their work. Best of luck to them! Give them a listen on their official Myspace stated above in this article. Go here if you would like to purchase a copy of the album through the soon to be online Lugga Music Webstore.